i bould a waterinjection for my diy engine. Compression 12,5:1 and afr about 16,2 at full throttle. I need the Water/Ethanol to cool down Pistons and Valves and to prevent knocking. It works. Without the WAES i only could drive with AFR 14 at full trottle AND take back the injection values -> roundabout 20% lesser efficency. That is a lot. Did you account for the energy content in the ethanol? I've tried Methanol+Water, and it does work better than water alone. It depends what purpose you are using it for really. If it's just power, you don't care if you are adding more cost into the combustion chambers. At the end of the day, it comes down to adding more into the combustion chambers to get more power out. It's a very simple principle. That is kind of sounds like what I have out in my garrage. An 8L 8cyl engine with 11:1 compression. I don't want to use premium gas forever. What I would like to do is run regular gas for cruising around, hooefully in lean burn, not using any water injection. Then when I open it up then add some water methanol injection. Methanol had been used mostly to ease the water vaporising and to prevent freezing. A lower amount of water alone would be enough to recover some of the thermal energy that would otherwise be wasted, thus leading to an improve in the general efficiency of the engine. Off topic question for cripple rooster. 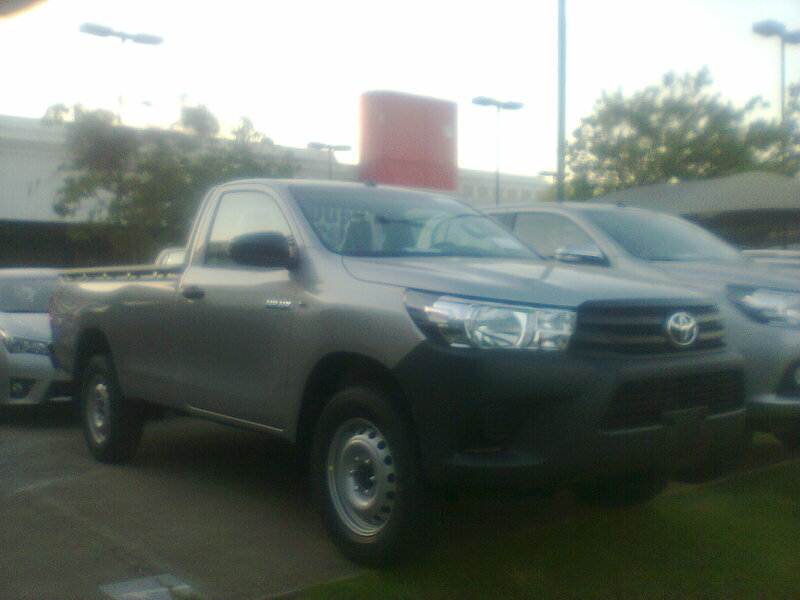 A friend was in Brazil on holiday and told me about some great 4 cylinder diesel toyota pu trucks he said were all over the place. I'll bet you can squeeze some great economy out of them. They do not offer those for sale in the us. For some reason diesels are limited here. I've had gassers my whole life and recently bought two diesel 3/4 ton trucks and can never go back. My guess is that 50 mpg should be easy to get with a small pu and a 4 banger di turbo diesel. What are your thoughts? Where in Brazil had your friend been? 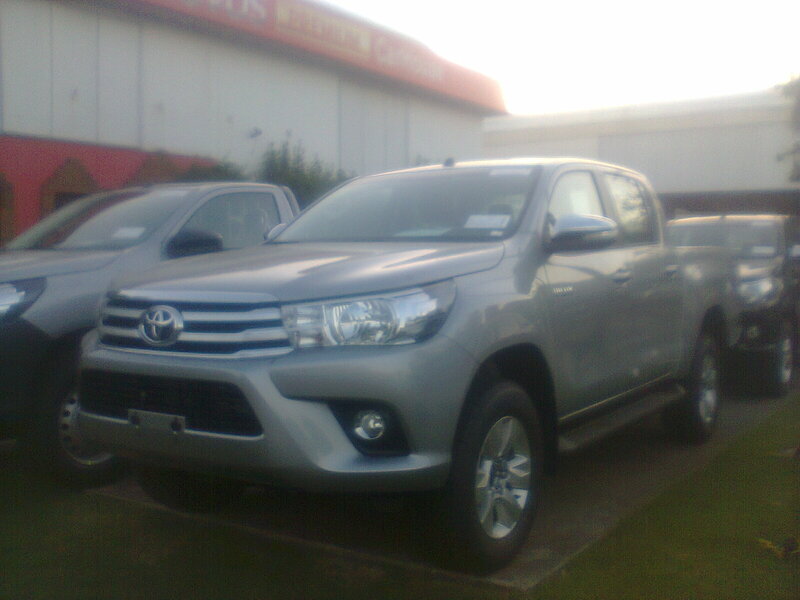 When it comes to the truck, I see you're talking about the Hilux, which is itself available in Mexico in gasser RWD versions only. Most of them in Brazil are 4X4 and turbodiesel. Since the single-cab ones are used mostly for work, Diesel is standard for them, while the double-cab is available as a gasoline/ethanol flexfuel. Automatic transmission, at least here, is available only for the double-cab. When it comes to mileage, 50MPG seems quite unrealistic. In a good day it might get some 35MPG in highway. He went to Rio de Janeiro. 50 mpg might be possible with some eco modding. Those trucks would probably sell like hot cakes here. I would buy one. Diesel Dave with his hypermilling techniques might squeeze a lot mor than that out of a small truck. Sure it would require some eco mods and proper driving techniques to achieve 50 MPG with one of those. I haven't seen a diesel dave thread in some time, but I think he is well over 50mpg with a 3/4 ton dodge. If I remember right (probably not) he topped 60mpg. That's with a 7500 lbs truck and a 6.7 l motor. You could probably put a honda civic in the back and not change the milage much. One of those Toyota trucks at half the weight and half the displacement should be able to match his numbers. There I go trying to derail this fine water injection thread again. I don't have time now, but definitely want to build a water system for my truck. Don't expect numbers even half of diesel daves. I expect to get into the mid 20's, but my truck is heavy with tools. The aerodynamic drag of a lumber rack loaded with ladders or lumber doesn't help. I don't drive with pulse and glide or engine off coasting and my highway miles are small compared to putting around on dirt mountain roads. I still have big plans for the motor. Lot of room for improvement.